Sunglasses? Check. Bathing suit, towel? Check and check. Time to hit the beach! Who does not love the sea? A beach is a place of healing and joy. The salt cleanses us and the sun embraces us in its warmth. The ocean heals the heart, mind, and soul. If you are someone who loves the ocean’s allure and charm, you will love this gallery of inspiring quotes about the ocean and the beach. A short walk from the doors of the villa, you’ll find a private residents-only beach with sandy shores, a beautiful estuary where no less than eight rivers meet the sea and a sandy cove beyond the rocks. 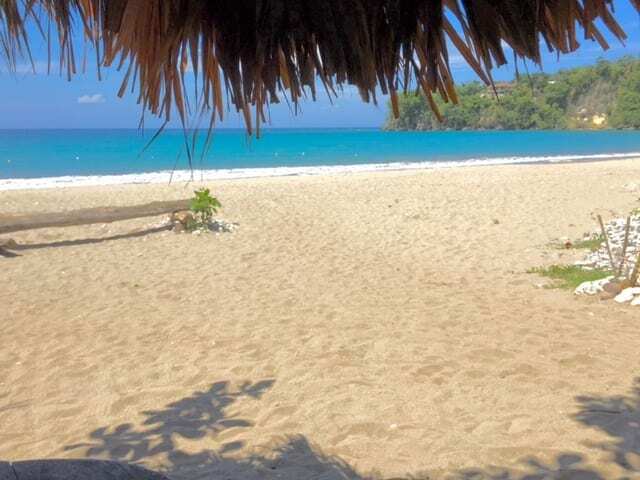 Ocean View Villa is in a prime location for visiting eight of the best public beaches in Jamaica, with their colorful craft vendors, tranquil coves and white sandy shores. Within a five-minute drive, you’ll reach James Bond Beach, a scenic shore near the former winter home of Ian Fleming, which was a film location for Dr. No and has a gorgeous view of the Saint Mary Mountains. 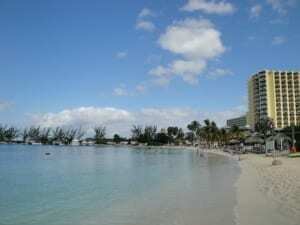 Also nearby is the main stretch of beach in Ocho Rios, Turtle Beach, located near the Ocean Village Shopping Center. 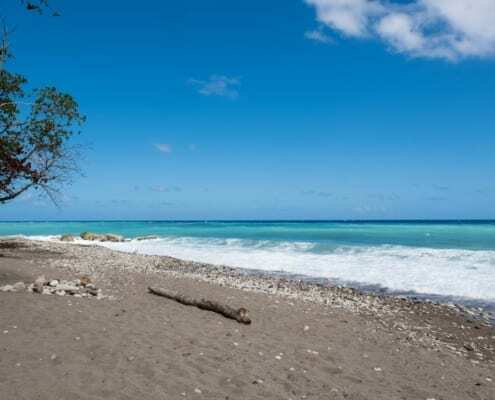 Sheltered between cliffs that provide a quiet, undisturbed atmosphere, you’ll find Reggae and Sugar Pot Beach, which are also located just minutes away. 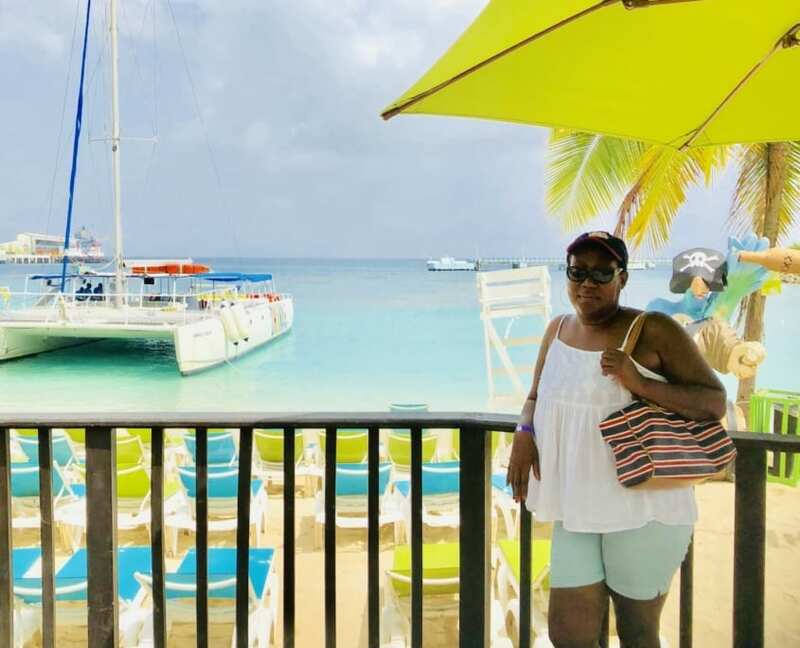 Dunns River Beach is often overlooked, because of the famous Falls, but is an excellent spot for snorkeling with the family. 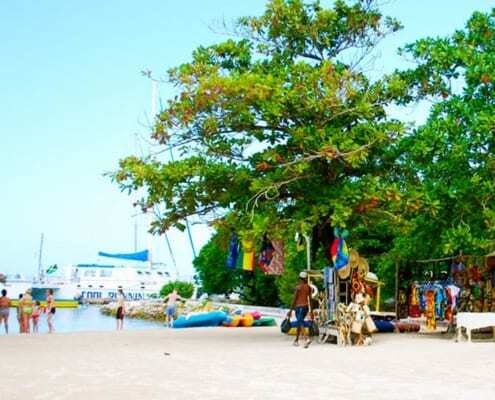 When it comes to beaches, Ocho Rios, Jamaica has one for every beach bum; from secluded beaches where nothing comes between you and warm crystalline waters; rugged white sand shores carved at the elements’ and Public beaches with colorful craft vendors and tranquil, sugary coves perfect for little swimmers. So Why Settle For One Beach When You Can Have Eight of The Best Beaches In Jamaica? Get Inspired! If you are staying at villa Serenity. We would like we can organise some beach excursion for your whole party. Here is an example of some of the beaches our guest usually visits. 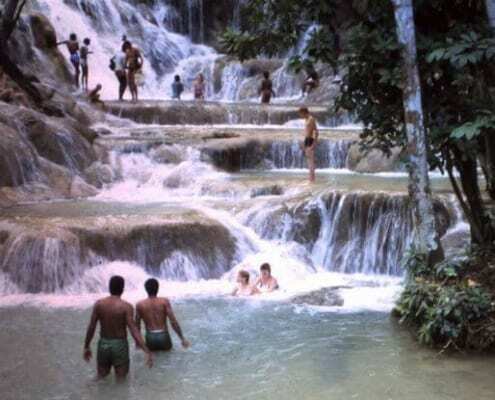 The Dunn’s River beach is often overlooked because it is at the site of the famous Dunn’s River Falls, one of Jamaica’s most popular tourist attractions. The sea here is excellent for snorkeling. 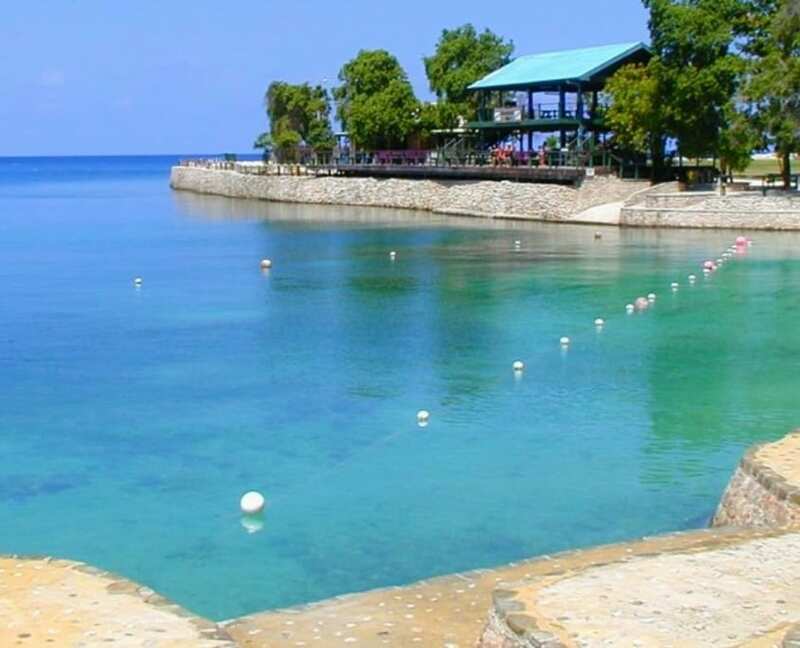 There are plenty of places in Ocho Rios and Discovery Bay to lie on some of the best beaches and enjoy the sun, sand and sea..
Just a short drive walk from the villa in the direction of Oracabessa The beach is sheltered by cliffs on both ends which help keep the sea and air environment calm. 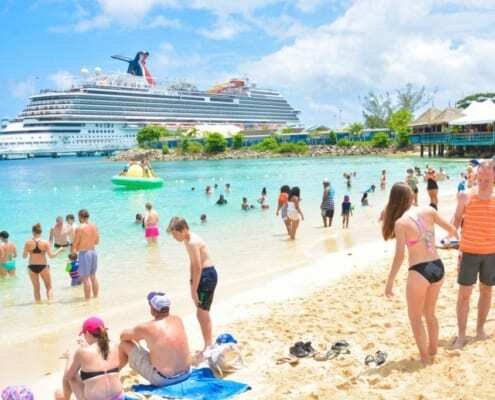 It is much quieter than the main beaches in Ocho Rios, perfect if you want more room to spread out. PRIVATE BEACH ~ Our private residents/villa owner’s Beach is less than one block walk from Jamaica Ocean View Villa. The east side of the beach is sandy with eight rivers flowing into the sea, creating a beautiful estuary. On the west side, there are rocks as well as a beautiful sandy cove. James Bond Beach is a small scenic beach near the former winter home of James Bond author Ian Fleming. It was also used as a filming location for ‘Dr No’. The beach is located 10-miles outside Ocho Rios and has the stunning St Mary mountains as a backdrop. TO SEE MORE CLICK PHOTO. Are you searching for all inclusive Jamaica villa, for your family vacation , look no further than Villa Serenity in Ocho Rios. Our fully-inclusive Jamaica family vacation packages are the perfect combination of luxury and adventure. 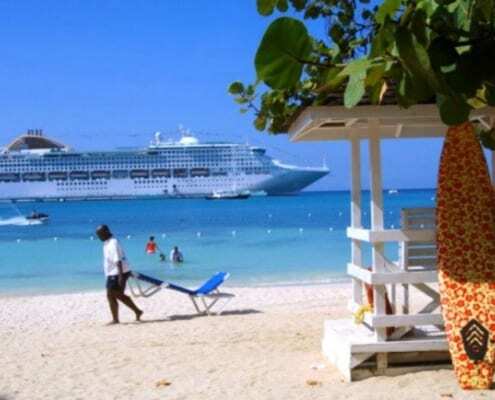 Ocho Rios Villa Guests have a wide selection of beaches to choose from.